Recording employee timesheets is a necessary and integral part of every business running SAP HCM for your HR SAP processes. 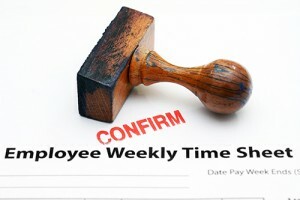 Each employee must report time worked and time off correctly to ensure they’re paid appropriately. SAP offers several avenues to complete this task that offer both benefits and drawbacks. Those drawbacks often lead to costs like Web Dynpro development, your Timekeeper’s salary, or salaries for a centralized data entry team, and in the last two scenarios, you have to dedicate additional time to approve and process data into your employee records. Why spend so much money and time on time sheets, when there’s a much better way? Let’s explore the first option – Web Dynpro development to launch ESS/MSS for the enterprise. This is beneficial if you’re going to use this functionality out of the box, in addition to your time sheets. If you need to customize these functions, this can be a different resource than your standard ABAP development. Web Dynpro is a completely different kind of code, which can take extensive time to implement. Projects like this will likely compete against other IT priorities, but there is a better solution. 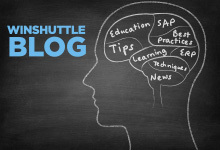 Winshuttle offers business-led, IT enabled and governed solutions that make everyone happy. Next, let’s take a look at your Timekeeper and centralized data team’s approaches. This cost is dispersed throughout the company in the form of department Timekeeper positions, or towards an HR data entry team. Workloads can vary greatly, especially when you’re charging time to projects and when hourly teams have more time than salaried employees, you might need to hire temporary data entry personnel. Budgeting around these necessities can be difficult at best, but Winshuttle can help you with these scenarios too! The quickest time to value approach when it comes to timesheets is to utilize Excel. Your existing spreadsheets can be connected to a Winshuttle script for the CAT2 transaction, and recording your script does not require a programming skill set. Business super users and technically oriented business analysts are empowered to develop solutions like this in a matter of hours or days. Time approvals from Management or HR can be streamlined in a similar fashion. You can query time that is currently unapproved and approve it using another Winshuttle script, all while using the same Excel spreadsheet! For more information on how to utilize Excel to improve your HR SAP processes, read the 5 Ways Excel Accelerates Your Return on SAP HCM Business Processes White Paper. A more robust solution you might consider is putting data entry directly into the hands of employees through a web based form. Employees would have the ability to access previously entered time and add new entries as needed, and timesheets could be routed for approval and processed directly into SAP. 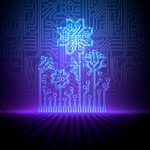 This would eliminate the need for a second approval process, and could be built without programming, freeing up more technical IT resources for higher priority projects and tasks. This also empowers the business to build solutions to meet their needs, while keeping SAP governance in place. With Winshuttle, you can improve your HR SAP processes and increase efficiency and accuracy by reducing the number of hands touching and re-keying your data. Leverage business rules and live validation against SAP to increase data integrity and free up your time for high value activities within your organization!